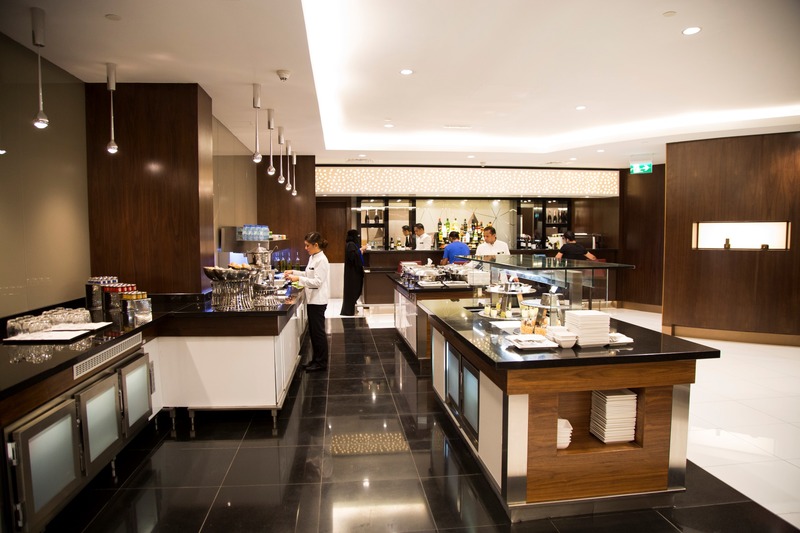 Great news, Etihad has just opened its fourth lounge in Abu Dhabi International airport. Situated in Terminal 1, this second, 1,044 square meter space will help give passengers a choice of space to relax, making the long walk to the lounge a thing of the past. Following the signature style found in their previous lounges, the space, which can comfortably sit 134 passengers, has all the amenities you would come to expect of this prestige carrier. This latest lounge now compliments the main lounge in T3, the US premium lounge situated after US customs, and the arrivals lounge that features its own barber ‘Shave’. 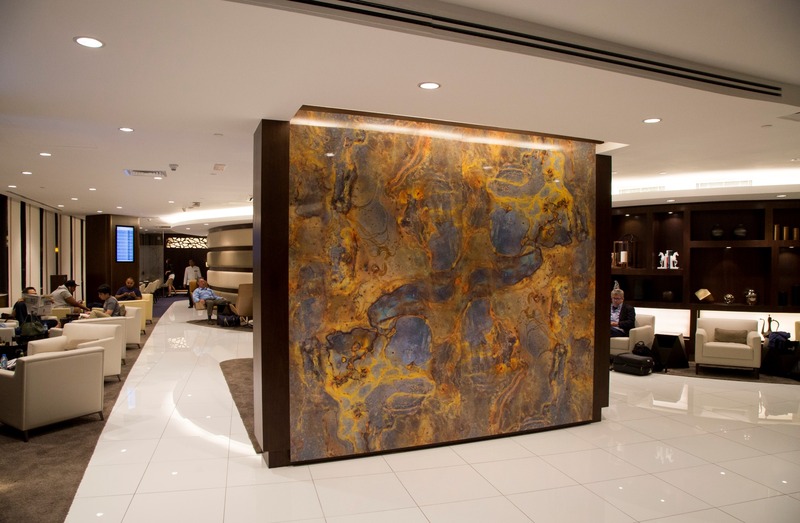 Open 24 hours a day, the new Terminal 1 Premium Lounge offers a who host of facilities which Etihad’s travellers have become accustomed to. 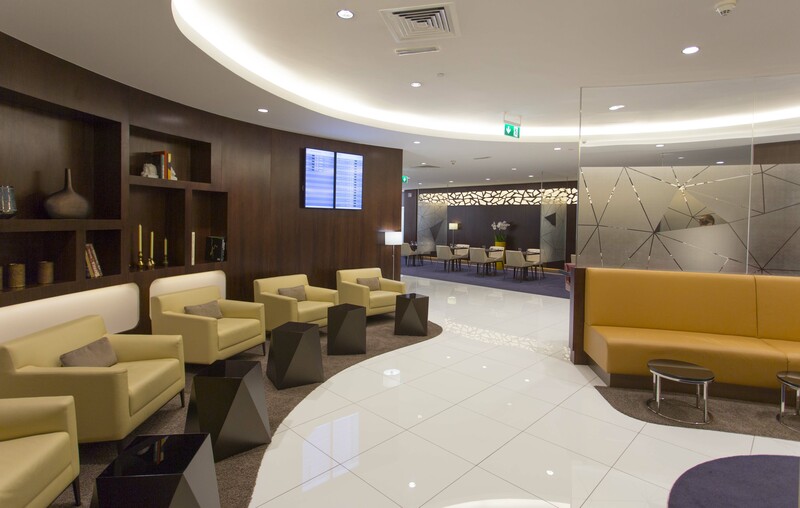 As with the lounge in Terminal 3, the upgraded facility includes comfortable armchairs, a dedicated dining area, state-of-the-art business amenities, complimentary Wi-Fi connectivity, USB power outlets, bathrooms with shower facilities, and a playroom for children. 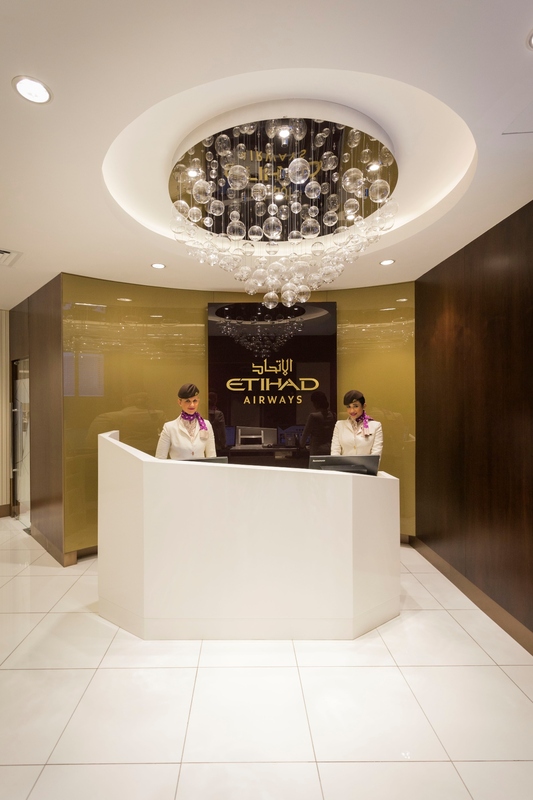 The design is typically Etihad, with sweeping curves, the ‘Facets of Abu Dhabi’ pattern adorning walls and light fixtures, and playful, angled furniture pieces all decked in warm and rich colours and finishes. There is no change to the above-standard dining options either. There is a choice of food and beverage service with a choice of restaurant-style dining and a sumptuous buffet complemented by an extensive selection of beverages. However, the crowning glory is the second Six Senses Spa to be opened in Abu Dhabi. The world famous spa within this T1 lounge has been completely refurbished and is available to promote travel health and wellbeing. Lounge guests are invited to use the spa prior to boarding flights and can enjoy a refreshing complimentary 15-minute spa session, with a range of other treatments available by appointment.